Hubbard Grille fuses the buildings historic foundation with the modern uptempo atmosphere of the Short North's arts district. Because of its location in this vibrant and pedestrian friendly community, DCI positioned a large island bar along the street to activate the corner. 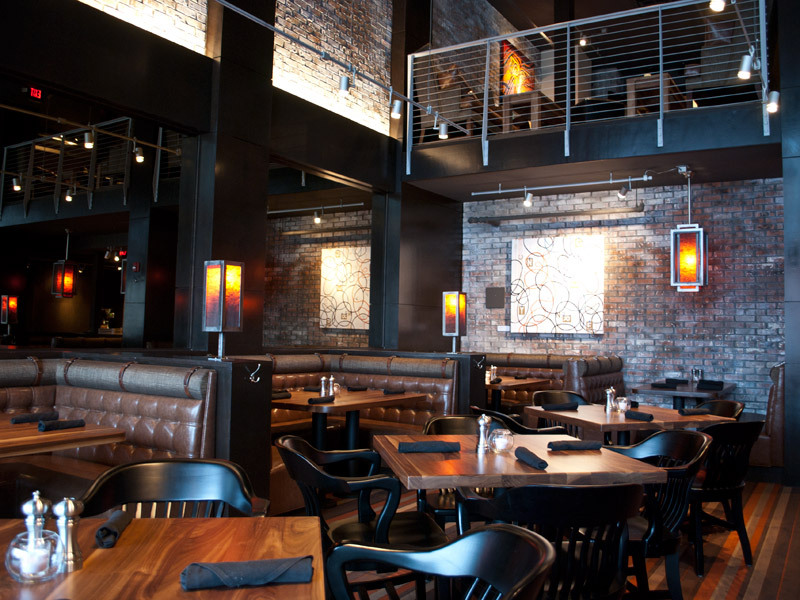 DCI incorporated exposed brick walls, dark woods and many custom features including glass and metal "lanterns" which give soft amber lighting throughout. The exterior sign is a re-interpretation of the car dealership's who first occupied the historic building, and stands over 25 feet tall.